Reichersbeuern Castle grounds accommodate a boarding school for only 60 girls and boys from the fifth to the twelfth class. The children and young people are distributed over four living tracts, whereby two of the boarding school areas are directly situated in the castle building itself. Each group of boarders is supervised by a team – by a female boarding school mentor and a male mentor in the case of the boys’ groups and by two female boarding school mentors where the girls’ groups are concerned. In addition to the facilities provided in the all-day school, we can in the boarding school also address special needs in terms of school requirements or in social or other individual respects. Where necessary, the boarding school can be supported by specialised external personnel (for example, therapists). Our boarding school regulations lay down the general rules of living together. The boarding school day is firmly structured. Regulation of the use of electronic media is a constant challenge in education today. Electronic media are handed out on an individual basis in the boarding school, after, as a rule, agreeing terms with the child’s parents. Of key importance are the aspects of success at school and the ability to handle electronic media sensibly. Dependent on age and degree of maturity, all items of electronic media are collected by 10 p.m. at the latest and the WLAN is switched off. We offer our boarders about 15 boarding school weekends per school year. In addition to compulsory lessons during the week, we also provide extra learning in small groups only for our boarders, as a rule in the core subjects German, Maths and the Foreign Languages. Joint group activities are also organised over boarding school weekends, such as for example excursions, visits to the cinema, cooking and inter-cultural attractions as well as special events like the candlelight dinner. From midday Saturday on, the boarding school weekend is open for all for leisure purposes and – where agreed – for trips home. 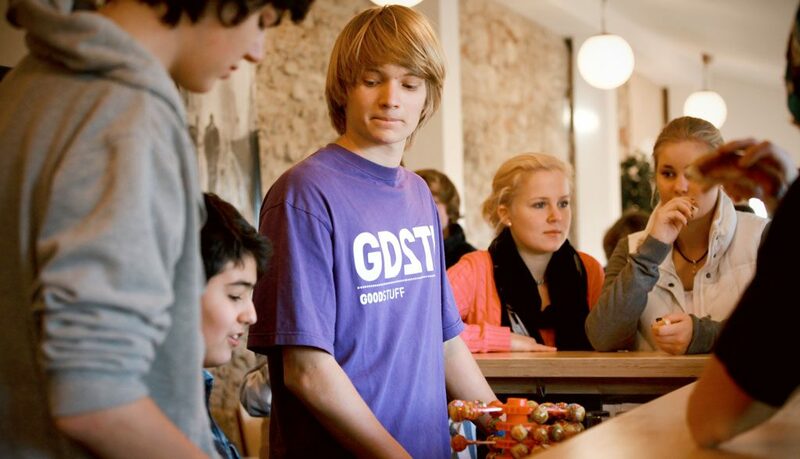 Only participation in the group evening on Friday on boarding school weekends, and in special school or boarding school events on individual Saturdays such as for example the Advent Market or the Open Day, is compulsory.